For the third year in a row, gamers can help themselves to great games while helping a worthwhile charity. The Humble Indie Bundle 3 offers a set of six diverse downloadable games, available for PC, Mac and Linux systems. You choose the price you’d like to pay – the average this year is a little under $5 – and you decide how your money should be distributed. The split can include the game developers, the Electronic Frontier Foundation, the Humble Bundle project, and Child’s Play, a charity that donates toys, games, books and cash to children’s hospitals across North America. Unlike commercial software, the indie games included in the bundle aren’t copy-protected, so you can use them on all your family computers, and even download in different formats if you’re a mixed PC/Mac household. The offer will only be available till August 9, though, so now’s the time to get in on the deal. This year’s collection is particularly strong when it comes to addictive puzzle-oriented challenges with quirky, artistic graphics. 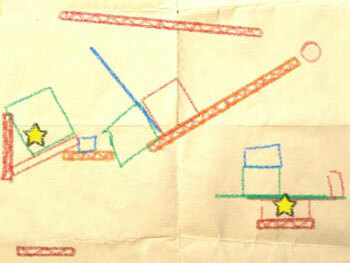 Crayon Physics Deluxe is a particular favorite. Using your mouse to draw on what looks like a piece of folded craft paper with a virtual crayon, your goal is seemingly simple: get a little red ball to run into a yellow star and collect it. Making that happen, though, requires ingenuity and imagination to avoid hazards and travel across chasms. You have a limited toolbox – your crayon, some pins – and unlimited lives to draw objects and pathways on the page, all of which behave with convincingly realistic physics. You get bonus points for coming up with elegant and/or overly elaborate ways to get from here to there. It’s addictively brilliant. Another favorite, with an art style combining a sketch-book-looking character with colorful collage backgrounds is And Yet It Moves. Despite its horror-movie title, is actually another brightly challenging physics-based puzzle game. 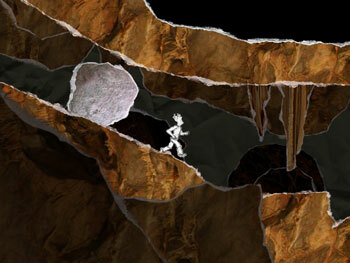 Your character needs to get through seemingly impossible passages to reach the goal on each level. You can walk left and right, you can jump a little, but then comes the kicker – you can rotate the entire world in 90-degree turns. With a quick arrow-key press, the floor becomes a wall. Another press and the wall becomes the ceiling. And all the while, gravity is doing its thing, propelling you past barriers and threatening to non-violently squash you if you don’t reorient your world in time. There’s no point system or penalty for failure – you just pick yourself up from the furthest point you’ve mastered and try again. This one effectively combines strategic ingenuity with quick reflexes. Another few hours gone. How much you enjoy Cogs will be directly related to your affection for those number-scrambling puzzles where there’s one blank square in a frame and you have to move the little tiles within until you’ve got them in the right order. 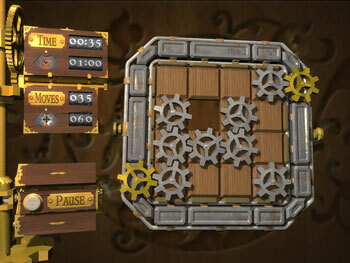 That’s precisely the game concept here, though the pieces you’re moving are more interesting (gears, steampipes, etc. ), the challenges more elaborate (including 3D objects that require you to solve a multi-sided puzzle to complete the task) and the graphics more appealing, with a cool Victorian steampunk look. The other three games in the lineup are more action-oriented. 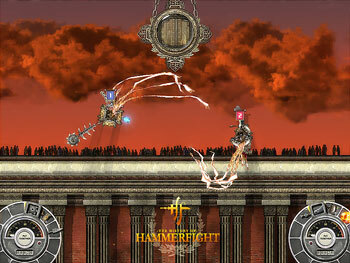 The least appealing of the bunch is Hammerfight, with an odd battle style that has you piloting a flying contraption with a sort of mace hanging from a chain below. You rotate your mouse to get the mace to swing and bash your enemies – it gets old fast. 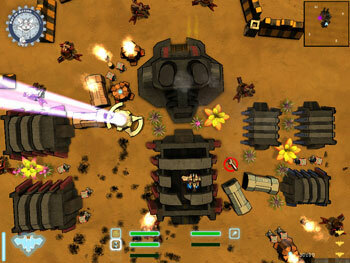 More interesting is the old-school top-down shooter Steel Storm: Burning Retribution. This is pure arcade-style action, as you pilot a hover tank through complex environments, shooting down hordes of reasonably smart enemies while searching for weapons, disabling force fields and generally living the space jockey life. The level of detail in the graphics is both a blessing and a curse, since objects you need to find can be hard to distinguish, but overall Steel Storm is good retro fun, and well worth owning. 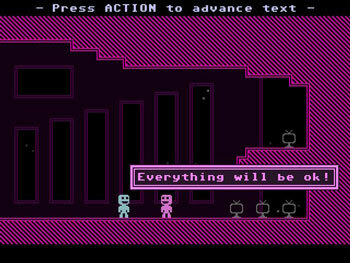 Finishing on a quirky high note, there’s VVVVVV. This one really feels like retro gaming, as in blocky 8-bit Atari-style graphics and a fun boop-boopy soundtrack. The controls are simple, but the precisely constructed obstacle-course environments demand real skills to complete. You can move left and right using arrow keys, or flip the entire world on its head with a spacebar press. It’s a bit like the classic game Pitfall but, this time, instead of merely leaping past hazards, you also have world-altering powers to help puzzle your way to the goal. The simple sound and visuals combined with the head-scratching obstacles makes VVVVVV literally fun for the whole family.